All of us hate the prospect of having to wake up and make an elaborate breakfast. 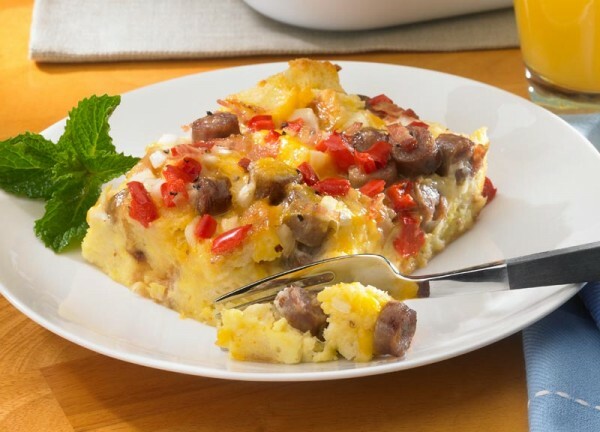 This recipe is for those of us who aren’t morning people and can’t keep their eyes open in the wee hours of the morning. To make things simpler is to half prepare the dish the previous day. Of course not all dishes can be made this way. But then one wholesome dish is this one. It contains the goodness of milk, fiber and protein to give our day a good kick start, especially in the energy department. So those of you who want a hearty breakfast and don’t want to be stuck preparing it in the morning, this is something you should try out. Sliced cooked sausage – 4 oz. Place the croutons at the base of a small casserole. Line the cheese and sausage over the croutons. Sprinkle the cheese over these layers. 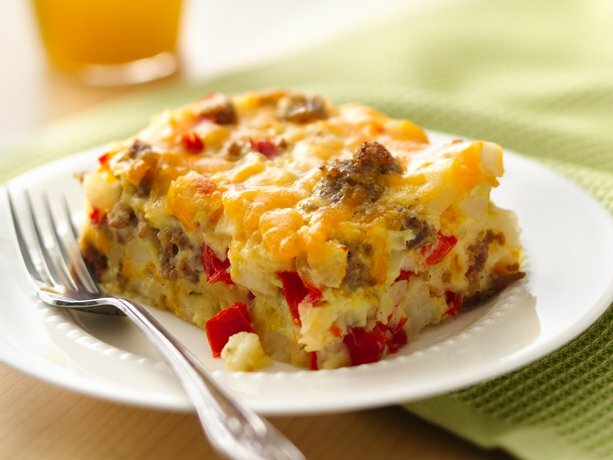 Whisk the eggs and half the milk together and pour into the casserole, taking care not to disturb the layers. Whisk the cream of mushroom soup and milk and pour over the layers in the casserole. Place in the oven and bake uncovered for 50 minutes. So dig in to this nutritious scrumptious breakfast where most of the efforts in making it lie the previous night.